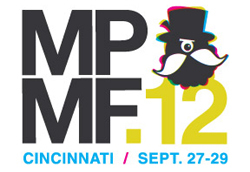 Thousands of music fans fill downtown Cincinnati and Over-the-Rhine to see more than 180 bands from across the U.S. and around the world at the 11th annual MidPoint Music Festival. Features priority admission to all MidPoint venues and shows all 3 days. Exclusive access to VIP Kick-off Events each evening, catered by Izzy's Thursday, Chipotle Friday, & Eli's Barbeque Saturday. VIP swag bag. A very limited number of VIP Passes will be sold. (subject to venue capacity rules, All venues 21 & up EXCEPT Washington Park & CAC). Also includes admission to MidPoint Film Festival.